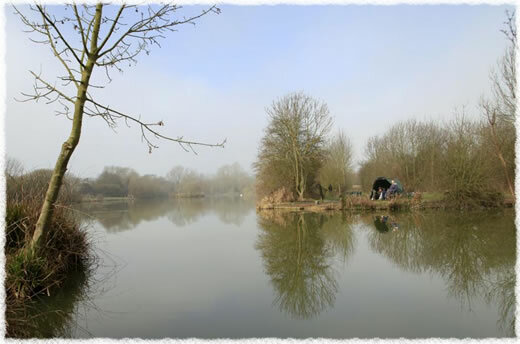 Located 4 miles from the city of Chelmsford, Essex is Newlands Hall Fishery, a day ticket venue that is made up of four fishing lakes that cover around 10 acres. The fishery is surrounded by picturesque countryside. The lakes hold some good size carp to around 35lb and are ideal for carp, match and pleasure anglers. Ample car parking, drinking water and toilets. Newland hall also offer fishing tuition with courses tailored to meet anglers needs. Newland Hall Video Clip - A great clip of two anglers Lee Merritt & Jon McAllister fishing for carp at Newland fishery. Moat Lake - 30 peg lake ideal for match and pleasure anglers, with competition weights over 300lb. Park Lake - 15 peg water with a good head of carp and roach. Osiers Lake - specialist carp fishing lake with specimen car to around 35lb. 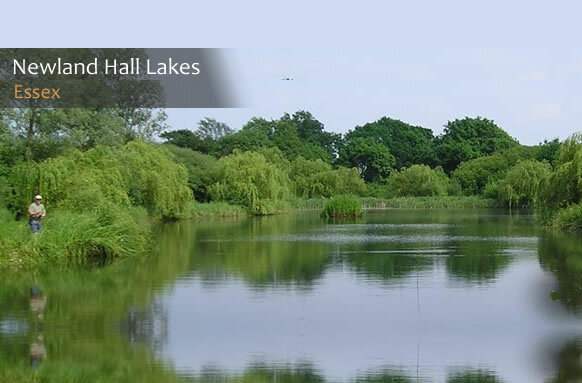 Brook lake is popular with Carp, match and pleasure anglers. The water has 50 swims to fish from and holds a good head of carp to 30lb, tench and roach. Moat lake is popular fishing lake with both match and pleasure anglers. The water holds a large stock of carp and roach. Match competition weight are regularly recorded at over 300lb. A 15 peg fishing lake stock with a large number of carp and roach. Osiers carp fishing lake is stocked with specimen carp from 15 - 35lb. The water has 8 carefully positioned swims. Juniors (16 and under), OAP's and Disabled will qualify for a £2 discount per session based on the above rates.